but it might be able to be applied to local news search etc. 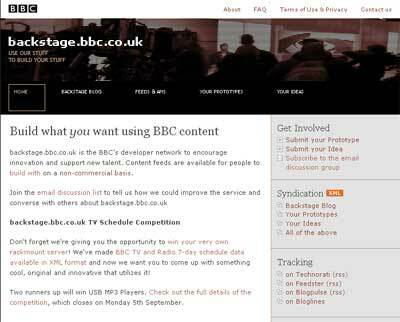 backstage.bbc.co.uk is the BBC's developer network to encourage innovation and support new talent. Content feeds are available for people to build with on a non-commercial basis.